U-17 AFCON: Eaglets Pip Tanzania In 9-Goal Thriller – Royal Times of Nigeria. 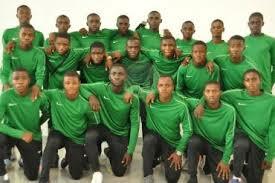 Nigeria’s Golden Eaglets defeated host nation Tanzania 5-4 in a thrilling opening game at the National Stadium, Dar es Salaam on Sunday. Olatomi Olaniyan gave Nigeria the lead in the 20th minute. The hosts however responded immediately grabbing the equaliser through John Edmund. The Golden Eaglets took the lead for the second time in the game in the 30th minute courtesy of a fine effort by Wisdom Ubani. Akinkunmi Amoo made it three for Nigeria eight minutes before the break. The hosts came alive after the break and halved the deficit in the 51st minute through Kelvin John. The Serengeti Boys equalised two minutes before the hour mark with Suleman Shaibu putting the ball into his own net. Oscar Milambo’s lads took the lead for the first time in the game when Edmund tucked home a penalty on the hour mark. The Golden Eaglets looked jolted by the Tanzanians’ fast start to the second half but found their way back to win the contest. Ubani equalised for the two – time champions from a well struck free-kick in the 72th minute. Substitute Ibraheem Jabaar scored the winning goal for Nigeria 11 minutes from time. 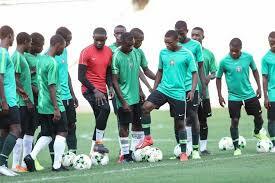 The Eaglets will tackle Angola in their next game on Wednesday at the National Stadium, Dar es Salaam.